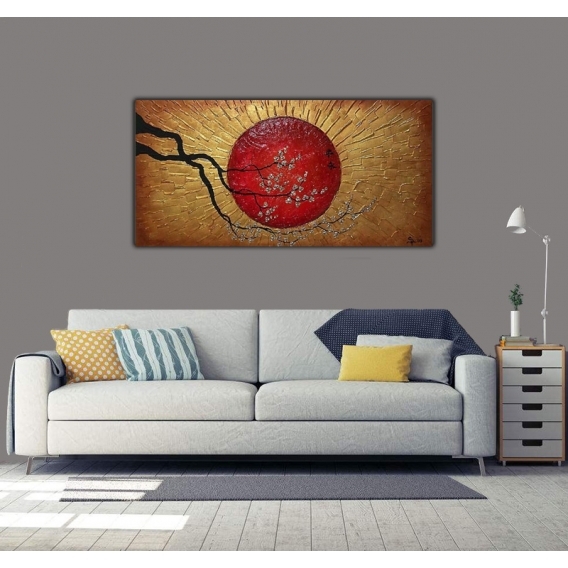 A Zen ambiance with this modern paint canvas ! This modern canvas is entirely hand made. This large lounge canvas is 120 x 60 cm. Free 48/72 h delivery in metropolitan France and Belgium for this nature paint canvas. 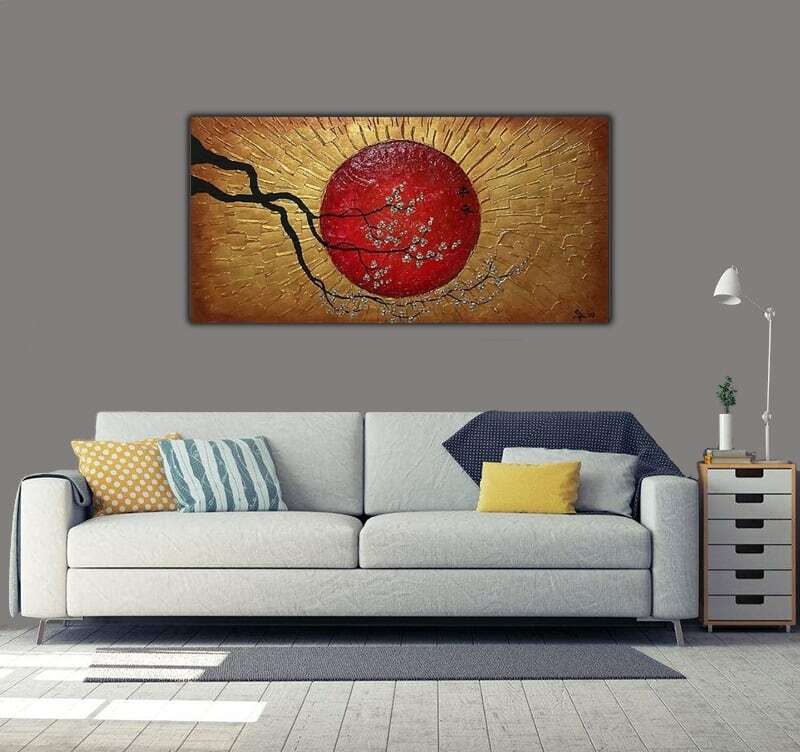 A red sun and golden background with hand painted Zen writings… There is enough to inspire an interior decoration ! 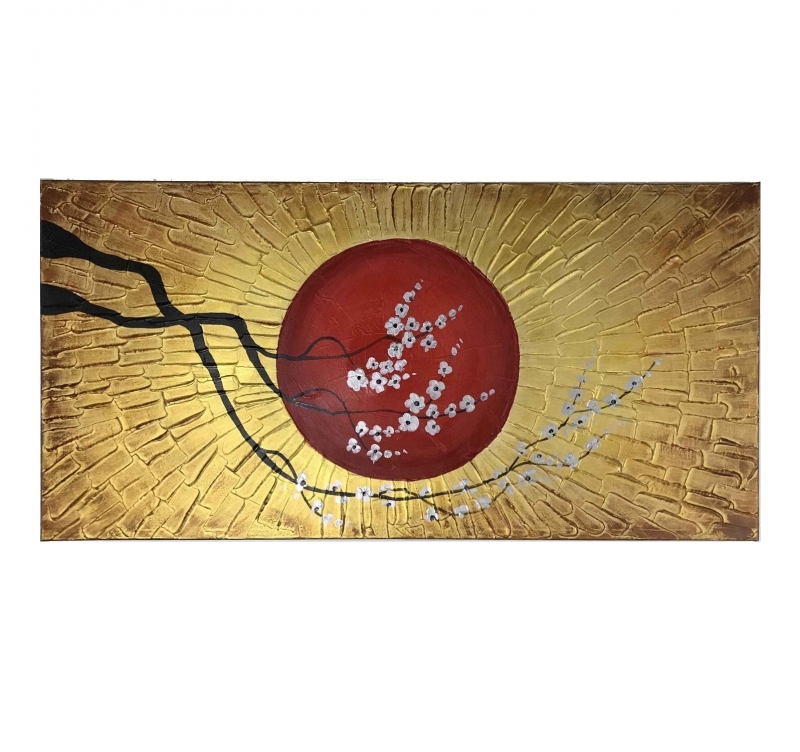 This contemporary oil painting canvas takes you to Japan with its symbolic tree softly touching down on the canvas. Radiant and colourful, this design paint canvas will be perfect for your lounge to complete a relaxed ambiance. The brush strokes bring relief to the work of art to capture one’s attention in your decoration ! This paint deco canvas is stretched on a wooden frame to ensure a long lasting top quality and finish. 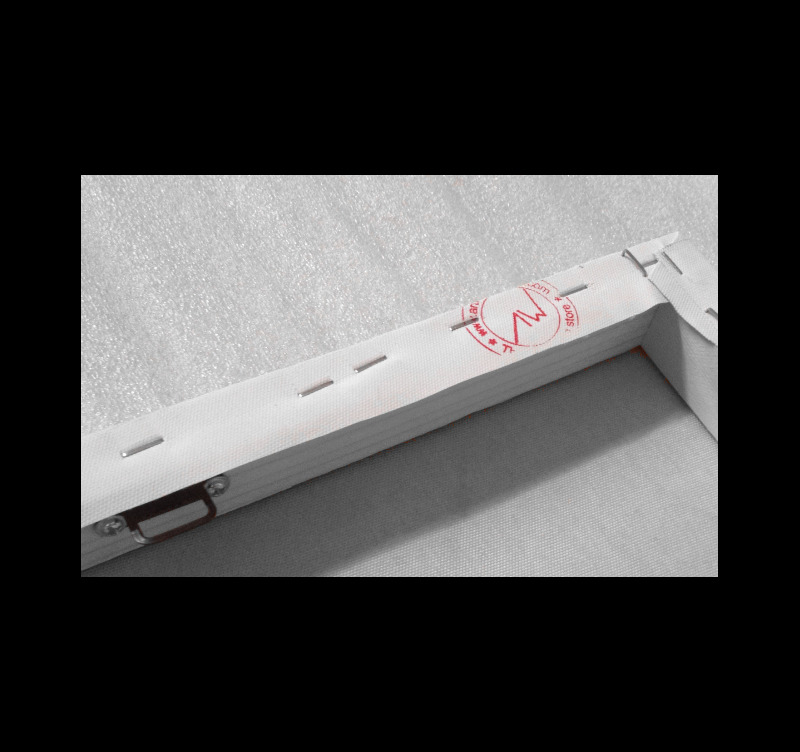 All the canvases in the paint canvases category are hand painted by our Artwall and Co artists. très beau tableau qui illumine une pièce grâce à ses couleurs chatoyantes.